A notorious federal judge has resigned under the threat of impeachment — and thus provided a harsh but useful lesson for civic activists everywhere. 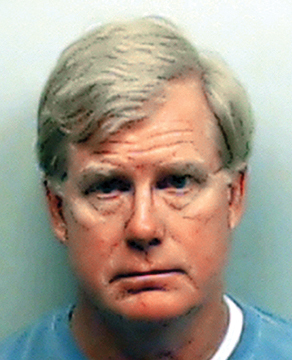 According to a federal court order June 1, fellow judges within the Atlanta-based Eleventh U.S. Circuit Court of Appeals recommended to the national Judicial Council that Alabama U.S. District Judge Mark E. Fuller be impeached as a first step for removal from his lifetime appointment. Fuller, a federal judge since 2002, announced through his attorneys his resignation effective Aug. 1. The resignation provides important civic lessons in the career of a judge whose disgraceful conduct we have been documenting for six years. But the system has protected him until an Atlanta policeman arrested him last August in Atlanta on a misdemeanor charge of battery against his then-wife, Kelli Gregg Fuller. Fuller has also became widely known in legal reform circles for presiding over the 2006 trial and sentencing of former Alabama Gov. Don Siegelman in a federal corruption prosecution tainted by claims of gross legal irregularities. 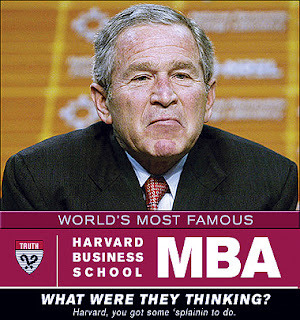 The Bush-era prosecution has been ratified by the courts and the Obama administration. Siegelman is not scheduled for release until mid-2017 for conduct that occurred in 1999. Received until now minimal correction from timid oversight systems in the courts, Executive Branch and congress. Alabama blogger Roger Shuler summed up the abuses in a column this week, Mark Fuller was the face of a system that allowed shadowy characters, like Bob Riley, to avoid scrutiny. Shuler, who has written hundreds of columns about Siegelman, particularly his ordeals under Fuller, asserted a de facto alliance between the Republican judge Fuller and Siegelman's Republican rival, two-term Gov. Bob Riley (2003-2011). 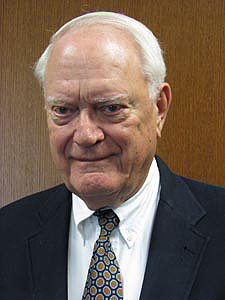 "Fuller played a central role in the most notorious political prosecution of the period — and perhaps in American history — when he presided over the case of former governor Don Siegelman in the Middle District of Alabama," wrote Shuler, who has fled Alabama with his wife after they were charged with contempt of court in a libel case brought by a prominent Alabama attorney Rob Riley, son of the former governor Riley and himself a prospective congressional candidate. Shuler, arrested on the contempt charge and beaten in his garage by a deputy sheriff, was convicted in state "kangaroo court" proceedings of resisting arrest. 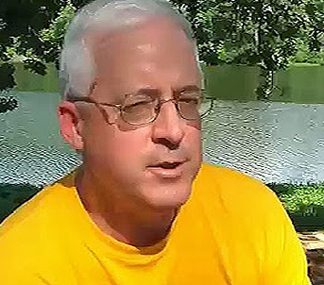 He was held without bond through his trial for five months until he agreed in March 2014 to spike his columns about the younger Riley, all in gross violation of federal First Amendment precedents, among other due process issues. 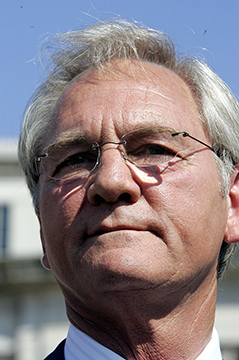 "Siegelman remains at a federal prison in Oakdale, Louisiana, for a crime he did not commit — for a "crime," in fact, that does not exist under U.S. law," Shuler continued. "But this is where the Mark Fuller story becomes breathtakingly dark. Under judges like Fuller, and prosecutors of the Bush Department of Justice, it's not just a matter of innocent people winding up behind bars. Such a broken system allows individuals who have genuine ties to criminality to operate with impunity." Shame those who enable official misconduct, not simply the miscreant. That is a harsh and difficult remedy, especially for those with scant influence compared to a wealthy judge holding a lifetime appointment. But recent developments illustrate the need for persistence. Let's consider the incentives and risks for office-holders inclined to abuse their power. Those who achieve high-prestige posts often protect their colleagues, at least at first. That's both human nature and professional courtesy. Most abuses are not so flagrant as to be obvious without study. But upstanding professionals do not want to be smeared by others' misconduct. Fuller's conduct and that of his judicial peers fits this pattern, as does our reporting. Most recent was our Court Ruling Against Siegelman Compels New Strategies, a hard-hitting column last week that targeted the entire Atlanta-based U.S. Eleventh Circuit Court of Appeals. That appellate court presiding over federal litigation in Georgia, Alabama and Florida has been supervising Siegelman appeals and also a disciplinary investigation of Fuller following his arrest last August. We shall return to this topic shortly, with a more comprehensive recap of Fuller's career, misconduct, and the forces that brought him down, including the heroic whistleblowers, other concerned citizens, journalists, lawyers and tiny few public officials who took a stand against hsi misconduct in a range of cases and personal scandals. 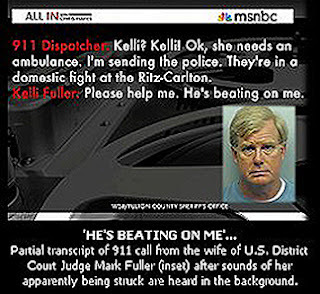 We began our coverage in May 2009 after an extensive investigation that the Huffington Post published on its front page: The Huffington Post published on its front page the first column, Siegelman Deserves New Trial Because of Judge’s ‘Grudge’, Evidence Shows….$300 Million in Bush Military Contracts Awarded to Judge’s Private Company. We have reported here upon such scandals many times since in the past six years, as indicated by a search of this site and of the links to a sample of columns below. Among our exclusive reports was the first use of photos such as that below of taken by freelance photographer Phil Fleming of the then-rarely photographed judge. 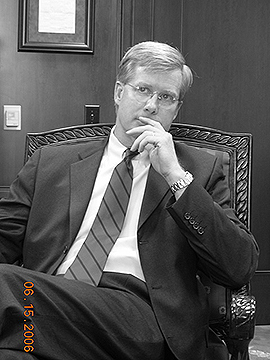 Fleming told us the judge invited him and a courtroom sketch artist into judicial chambers to create portraits moments after the 2006 jury verdict in a second trial for Siegelman and co-defendant businessman Richard Scrushy on charges that Scrushy corrupted donated to a non-profit group to win reappointment to a gubernatorial commission in 1999. Fleming suggested to the judge that he "cut the Cheshire cat look" because smiling on such an occasion might look undignified. For now, we focus briefly on the news and lessons learned. 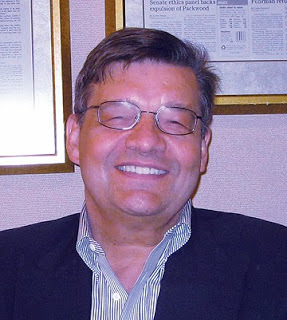 As background, I began my career in 1970 as a reporter for the Hartford Courant in Connecticut and covered federal courts from 1976 to 1981 as a reporter for the Hartford Courant and later as legal columnist for Connecticut Magazine. In general, my work provided positive views of the court system that propelled me to earn degrees at two law schools, Yale and Chicago, and clerk for a prominent federal judge in Boston, Mark Wolf, whose 30 years on the bench have included eight years as chief federal judge in Massachusetts. But my discovery of occasional irregularities in the legal system as a reporter previous to my legal work required me to report scandals resulting in the resignations of two longtime federal judges in Connecticut, one a bankruptcy judge and the other an administrative law judge presiding over Social Security disputes. In both instances, the judges who were performing conscientiously did not want to be associated with dishonor, especially if it were being reported prominently in a way bringing deserved embarrassment on the court system. In the more recent situation of Mark Fuller, serious problems ranged from his personal life to his courtroom decisions. We here have repeatedly invited him or his attorneys to comment on these matters. He did respond once that he was foreclosed from comment by his official position, and we have since sought to report his defenses form other sources. In general, he and his defenders have denied misconduct. Any official sanction has been complicated up to now by his lifetime appointment received in 2002 from the U.S. Senate after his nomination by President Bush. Other factors protecting him have been his power as chief judge from 2014 to 2011 for the federal judicial district based in Alabama's state capital of Montgomery, his wealth, his close ties to the Republican political establishment, and his hidden ties to the powerful defense and intelligence sectors illustrated by his secret control as by far the largest shareholder of a company that trained U.S. and overseas Air Force pilots, including from Saudi Arabia. An additional protective factor whose importance cannot be over-estimated is the servile posture that most establishment "thought-leaders" in such positions as academia, law and journalism, automatically adopt towards judges. The University of Alabama Law School, for example, honored Fuller by inviting him to speak about ethics several years ago when even a cursory look at his record indicated cause for alarm. At last, fellow judges on the appeals court took strong action after a thorough investigation. The chief judge of the court is Ed Carnes. Former Chief Judge Gerald B. Tjoflat, shown at left, presided over a still confidential inquiry into Fuller's conduct. There were enough red flags upon his nomination in 2002 so that one should have been accomplished during his confirmation hearing in 2002, which was a superficial view if not a cheer-leading session led by Democratic then-chairman Pat Leahy of Vermont in concert with Fuller's two senatorial backers from Alabama, Republicans Jeff Sessions and Richard Shelby. Belatedly, both Alabama senators last year urged Fuller's resignation because of his arrest, as did most others in Alabama's congressional delegation and media. In Washington, House Judiciary Committee leaders issued a joint Statement on Judge Fuller Resignation this week saying the judge would lose his pension upon resignation and would be subject to an impeachment action if he does not resign. Finally, congratulations are in order for all those who brought this result. We shall recognize them at length in a future report. But there has always been much more to this scandal than what has been on the surface. Even more frightening are the potential parallels elsewhere so long as the main facts in this remain so long long hidden. As president and CEO of the Wireless Communications Association International (WCAI) from 1996 until 2008, Kreig led its worldwide advocacy that helped create the broadband wireless industry. Previously, he was WCAI vice president and general counsel, an associate at Latham & Watkins, law clerk to a federal judge, author of the book Spiked about the newspaper business and a longtime reporter for the Hartford Courant.